People will do a double take when they see this gorgeous feather! Crafted from veg tanned leather, this feather has been painted to resemble a Bald Eagle tail feather. 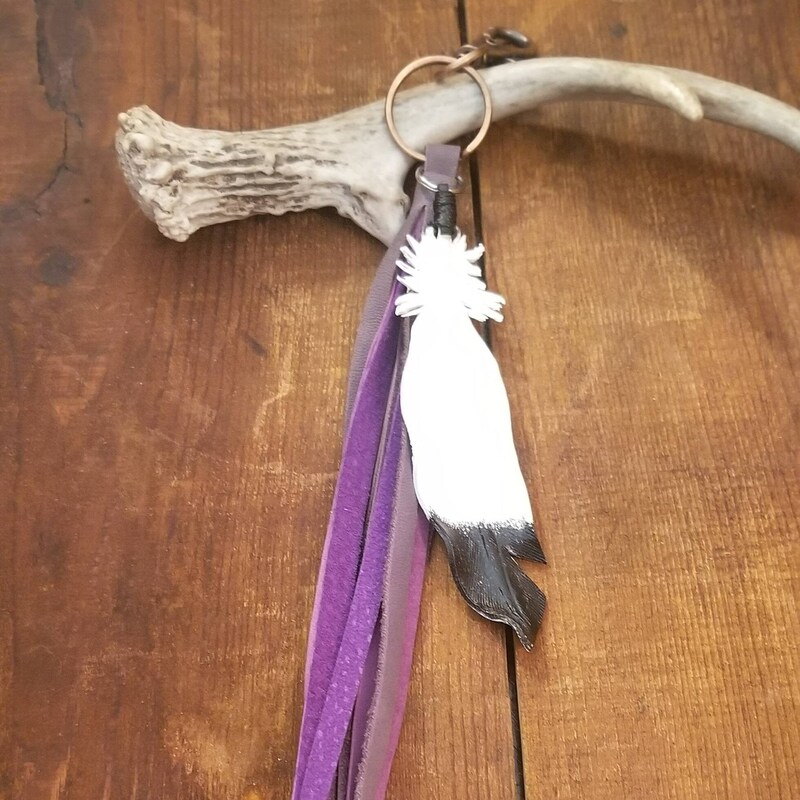 The feather is paired with a triple purple suede leather tassel. This pretty feather is perfect for clipping onto a saddle, bridal, purse or use as a key chain. The feather measures 5 inches and the tassel is 12 inches and easily cut with scissors if you desire a shorter tassel.